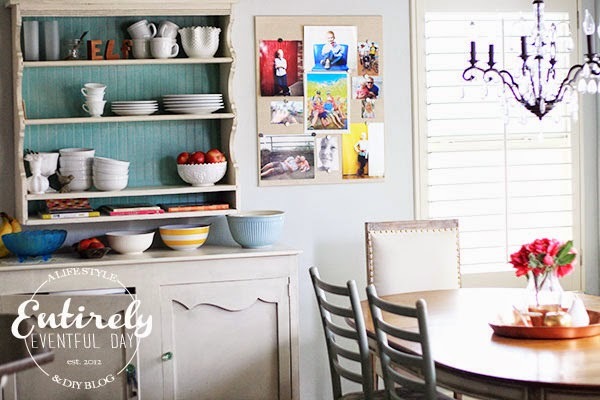 I am so excited to participate is my darling friend Kristen Duke's Decorating with Pictures Series. 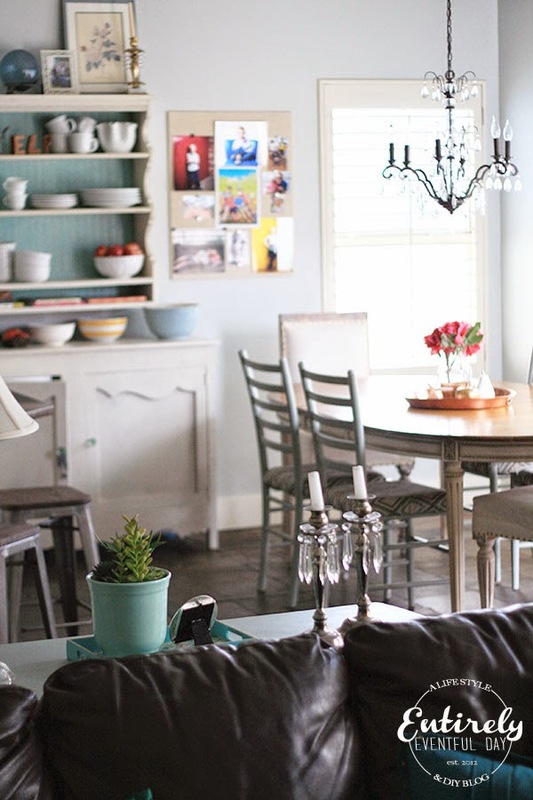 I love how passionate she is about displaying family photos in her home. I stayed a weekend in her home a few months ago... and it is such a happy place! I think a lot of that can be contributed to all the many images of her happy family and kids hanging on the walls. I read a study once that said that children feel more loved when they see photographs of themselves displayed in the home. I love displaying photos of my family but it's hard to actually get them off the computer and into a frame. 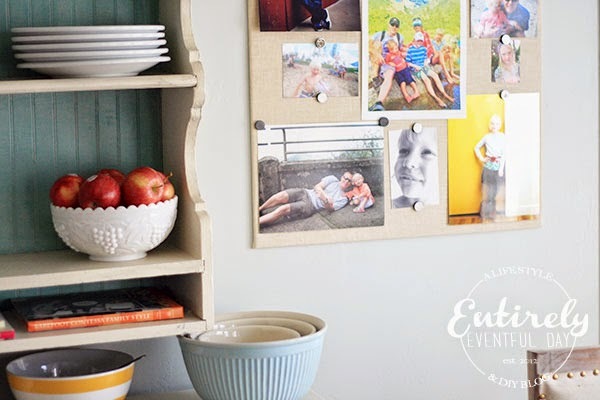 All that time and effort trying to create the perfect gallery wall... well, it may not be for you. This project is seriously ANYONE can do. It's so simple it's almost funny. I created a fabric-covered magnet board that is pretty enough to hang in my main living area. Get the full tutorial here... 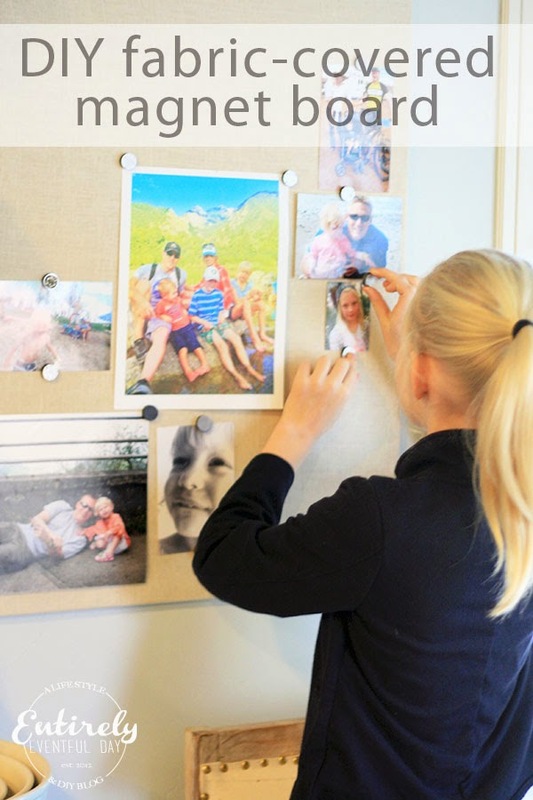 I made this the same way I made my DIY Magnetic Jewelry Board. 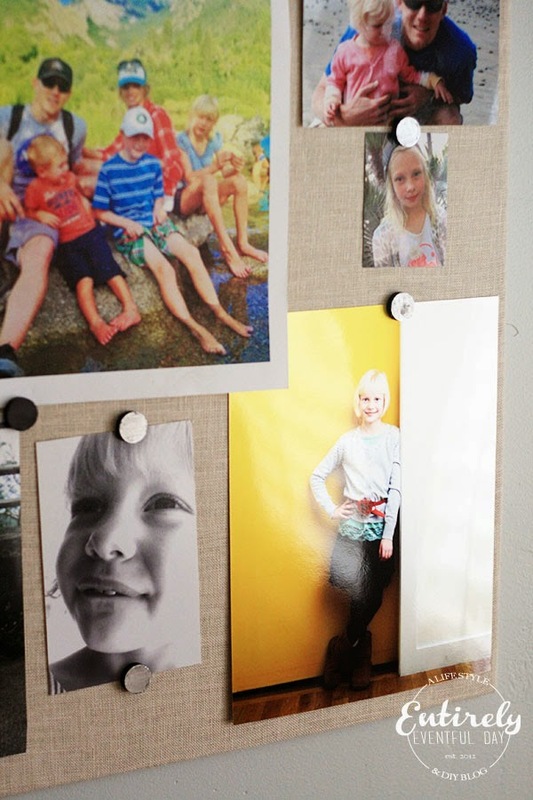 I used those handy 3M velcro hanging strips to easily secure my magnet board to the wall. I dug out some oldies but goodies and hung them with some of my favorite current photos as well. I used regular magnets from the hardware store but I actually painted some of them silver or added little flourishes that I just happened to have laying around. I like how it adds a little more color and personality to the living space. I also love that I can "seasonalize" it. It's a great place to display my Christmas cards. I'm also thinking that I will display photos from past holidays as that particular holiday approaches. My kids love it because they get to help choose the photos and even help arrange them. I mean, there is no way I would let this little one help me hang a gallery wall, but with this project she gets to participate and feel a part of it. She thinks it's pretty special. Thanks for stopping by. 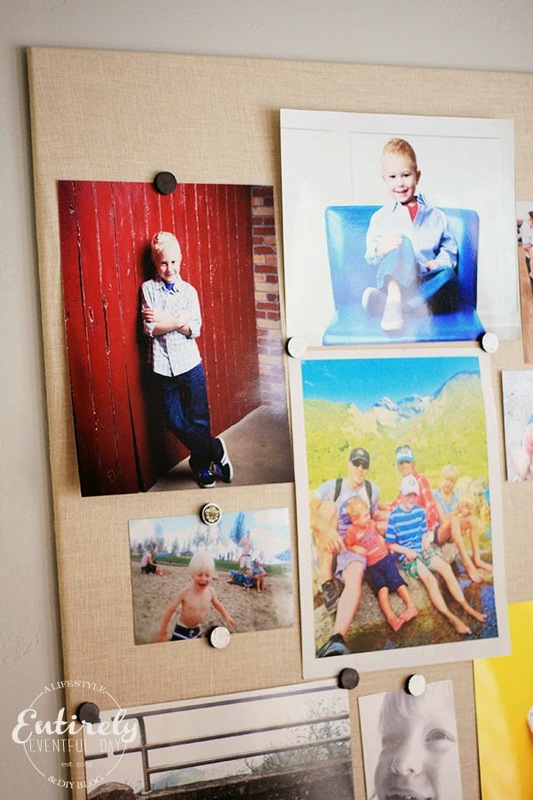 I hope this project inspired you to bring more family photos into your home!